Notes: Intercooler. 2003 Dodge Ram 3500. 2007 Dodge Ram 3500. 2004 Dodge Ram 3500. 2005 Dodge Ram 3500. 2006 Dodge Ram 3500. Ensure Proper FitTo confirm that this part fits your vehicle, enter your vehicle's Year, Make, Model, Trim and Engine in the Compatibility Table. TYC Part # : 18028. ForRam 1500 3.0T Diesel 2014-2016 Models. Warranty: 1 Year Limited Manufacturer Warranty. DOT & SAE Approved. Make Model Years Type Remarks. Make Model Years Type Remarks. Warranty: 1 Year Limited Manufacturer Warranty. DOT & SAE Approved. Drop and Fit Installation. 18081 5170704AJ. Dodge Ram 2500 Van 2003 Intercooler N/A. Dodge Ram 3500 Van 2003 Intercooler N/A. Dodge Ram 2500 2007-2003 Intercooler N/A. 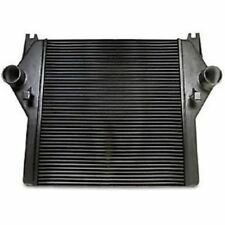 Dodge Ram 3500 2007-2003 Intercooler N/A. Part Number: 18028. The engine types may include 3.0L 2987CC 182Cu. This part fits vehicles made in the following years 2014, 2015, 2016, 2017, 2018. To confirm that this part fits your vehicle, enter your vehicle's Year, Make, Model, Trim and Engine in theCompatibility Table. TYC Part # : 18031. ForRam 2500/3500 6.7T Diesel 2010-2012 Models. Warranty: 1 Year Limited Manufacturer Warranty. Quantity: 1. DOT & SAE Approved. Make Model Years Type Remarks. Ram 2500 2012-2011 6.7L L6 408 CID; w/ Turbo Intercooler N/A. Ram 3500 2012-2011 6.7L L6 408 CID; w/ Turbo Intercooler N/A. It is your responsibility to make sure this product is compatible with your vehicle before you buy it, We are not responsible if the item doesn't fit your vehicle. Part Number: 18028. We have been serving the professional market in Arizona since 1988. Our team of Certified Carquest Counterpros are ZBest in the biz. So forget the rest and try ZBest! You won't be disappointed. WE ENCOURAGE BROWSERS. Problems are usually misunderstandings and with a little patience, can be easily resolved. 2018 Ram 1500 3.0L V6 DIESEL. 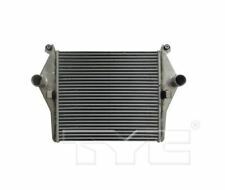 Notes: Intercooler -- Core Size: 25.59 x 8.62 x 2.52; With Turbo. 2014 Ram 1500 3.0L V6 DIESEL. 2015 Ram 1500 3.0L V6 DIESEL. 2016 Ram 1500 3.0L V6 DIESEL. 2017 Ram 1500 3.0L V6 DIESEL. 18028 52014947AB. Ram 1500 2018-2014 3.0L V6 2987cc 182 CID; DIESEL; w/ Turbo Intercooler N/A. It is your responsibility to make sure this product is compatible with your vehicle before you buy it, We are not responsible if the item doesn't fit your vehicle. Part Number: 18028. Warranty Duration:Other. Big Red Auto Parts is third generation family owned and operated. We know your car inside and out regardless of what year, make or model it is. Trending at $154.94eBay determines this price through a machine learned model of the product's sale prices within the last 90 days. Part Number: 18028. Warranty Duration:Other. We at Phileocom understand that parts for automotive repair are a necessity item. When cars breakdown, car owners are left with little alternative than to fix them up again. Part Number: 18031. Warranty Duration:Other. We at Phileocom understand that parts for automotive repair are a necessity item. When cars breakdown, car owners are left with little alternative than to fix them up again. TYC 18028 IntercoolersTYC 18028. Public Forums. Need to make a change?. Disclosure of Information Policy. Your credit card information is encrypted while traveling the Internet. For their protection, we ask that children do not submit information to us without the consent of a parent or guardian. TYC 18030 IntercoolersTYC 18030. Public Forums. Need to make a change?. Disclosure of Information Policy. Your credit card information is encrypted while traveling the Internet. For their protection, we ask that children do not submit information to us without the consent of a parent or guardian. TYC 18031 IntercoolersTYC 18031. Public Forums. Need to make a change?. Disclosure of Information Policy. Your credit card information is encrypted while traveling the Internet. For their protection, we ask that children do not submit information to us without the consent of a parent or guardian. 18028 52014947AB. Ram 1500 2018-2014 3.0L V6 2987cc 182 CID; DIESEL; w/ Turbo Intercooler N/A. We want you to be 100% happy with your order. Part Number: 18081. Part Numbers: 5170704AJ, CH3012100. To confirm that this part fits your vehicle, enter your vehicle's Year, Make, Model, Trim and Engine in theCompatibility Table. The engine types may include 4.7L 285Cu. Part Number: 18031. Part Numbers: 16070059, 4401-1304, 55056902AE, CH3012105. To confirm that this part fits your vehicle, enter your vehicle's Year, Make, Model, Trim and Engine in theCompatibility Table. Part Number: 18030. This part�s position is Front. Note: This part fits multiple vehicles - Review the notes section in the compatibility chart to verify the position of this part on your vehicle. Part Numbers: 16040008, 52014733AC, CH3012102. Part #: 18030. WARRANTYWarranty Duration: Other. ABOUT THE PART Cross References. Part Number: 18031. We have been serving the professional market in Arizona since 1988. Our team of Certified Carquest Counterpros are ZBest in the biz. So forget the rest and try ZBest! You won't be disappointed. Part Number: 18031. Information like which side a part fits (LEFT or RIGHT) and specific vehicle attributes (Transmission, AWD/RWD, and other vehicle exclusions) are included for your information in this LEFT COLUMN. Part #: 18028. In 1998 and 1999 two new distribution centers were opened; One in Aurora (Chicago)- Illinois- and the other in Coppell (Dallas)- Texas. In 2002- Genera's fifth distribution center opened in Suwanee Georgia. Part #: 18081. In 1998 and 1999 two new distribution centers were opened; One in Aurora (Chicago)- Illinois- and the other in Coppell (Dallas)- Texas. In 2002- Genera's fifth distribution center opened in Suwanee Georgia. Part Number: 18028. Warranty Duration:Other. Part Number: 18028. In 1998 and 1999 two new distribution centers were opened; One in Aurora (Chicago)- Illinois- and the other in Coppell (Dallas)- Texas. In 2002- Genera's fifth distribution center opened in Suwanee Georgia. Part Number: 18030. In 1998 and 1999 two new distribution centers were opened; One in Aurora (Chicago)- Illinois- and the other in Coppell (Dallas)- Texas. In 2002- Genera's fifth distribution center opened in Suwanee Georgia.